I’ve been ploughing through Dead Space 2 this week. Already more than halfway through my second playthrough, I’m really enjoying the stomping… and in the ahfuggedit. Anyway, I’m pleasantly surprised at myself more than anything at managing to get through the game. See, I am admittedly sorely lacking on bravery points and as such am notoriously a massive wuss. I never finished the first game, despite getting it free thanks to a friend and only managed to complete about half of it before the game got too much for me. One particular example came when I was playing through a section while my female housemate watched. Unfortunately I’d just got up to the bit that the giant tentacle monster thing grabs you, and I immediately screamed at an embarrassingly high pitch, causing her to double over with laughter. This space doesn't seem all that...OHMYGODLOOKBEHINDYOU! It wasn’t even the scares themselves that bothered me though, it was the whole constant sustaining-of-tension that really annoyed me. Or more accurately, my response to the sustained tension – the jumps themselves I’d get over fairly quickly, but the atmosphere and half expecting the next thing to jump out at me eventually got the best of me. And I still don’t blame the game itself. When asked about the sequel this year, I was never originally intending to buy it, but I was adamant that it was going to be a good game, as the first one was really good and I would have enjoyed it if it wasn’t for my own cowardice. Thanks to a leaving present from my day job I ended up getting it after all, and I’m glad to say I felt vindicated and that my claims were justified. I managed to stave off the tension somewhat by joining a party while playing through it – which backfired somewhat when I did audibly jump again a couple of times, but the game itself feels like a really solid action game, with everything from the way the enemies are killed to the atmosphere to the way you move that seems to give an artificial weight to the world. It’s multiplayer leaves a lot to be desired, it’s far more shallow than it thinks it is but the game itself is a critical and commercial success. Which is interesting when you consider that this week Namco Bandai confirmed that Enslaved hadn’t even sold 500 000 copies. 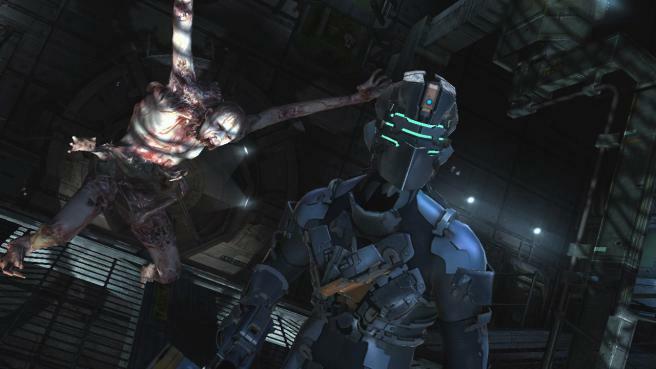 The original Dead Space didn’t do brilliantly at retail (although admittedly it didn’t do as badly as Enslaved seems to have), but received many awards and praise from plaudits, which led to the sequel we’ve got now. There’s a massive part of me that hopes something similar happens with Enslaved, as to me it was a great game that was criminally ignored at retail and sorely deserves a sequel.